Pak vs NZ 3rd test of Pakistan v New Zealand in UAE 2018 series being played in Sheikh Zayed Stadium Abu Dhabi from o3 Dec to 07 Dec 2018. 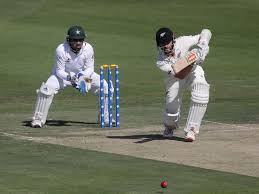 Get Pak vs NZ 3rd test highlights and live score, which is the final battle of test cricket between them. Hi friends, I'm Gyan Ranjan. Get full entertain with live cricket score and highlights of the final battle of test cricket. Pak vs NZ 3rd test, Pakistan v New Zealand in UAE 2018 series. Imam-ul-Haq, Mohammad Hafiz, Azhar Ali, Haris Sohail, Asad Shafiq, Babar Azam, Sarfraz Ahmed(c, wk), Bilal Asif, Yasir Shah, Hasan Ali, Mohammad Abbas. Jeet Raval, Tom Latham, Kene Williamson(c), Ross Tylor, Henry Nicholls, BJ Watling(wk), Colin de Grandhomme, Ish Sodhi, Nail Wagner, Ajaz Patel Trent Boult. New Zealand has had won the 1st test match by 4 runs. That was a very interesting and crucial match. But lost the 2nd test match by a big difference. Mahmudullah with a century and Yasir Shah with 12 wickets had played a great role in that match. Pakistan has had won the 2nd test match by an inning and 16 runs. So this is the final battle of test cricket between them. In which both the teams are playing to win the series. Kene Williamson and BJ Watling played the great innings for their team. Kene Williamson played the inning of 89 runs. He smashed 7 boundaries. BJ Watling also played a great inning and scored 77 runs. He scored these runs with the help of 4 boundaries. Jeet Raval 45 and Colin de Grandhome supported with 20 runs. Colin de Grandhome was only one batsman of New Zealand who smashed a six. New Zealand scored 274/10 in 161.1 overs. Bilal Asif 5 and Yasir Shah got 3 wickets. Hasan Ali and Shaheen Afridi got the 1-1 wicket in this Pak vs NZ 3rd test of Pakistan v New Zealand in UAE 2018 series. Pakistan scored 139/3 at the time of 2nd-day stump. Mohammad Hafeez failed to score any run. Imam-ul-Haq 9 and Haris Sohail scored 34 runs. Azhar Ali 62 and Asad Shafiq remained not out with 26 runs at the 2nd-day stump. Trent Bolt 2 and Tim Southe got 1 wicket. Pakistan trail with 135 runs at the time of stump.